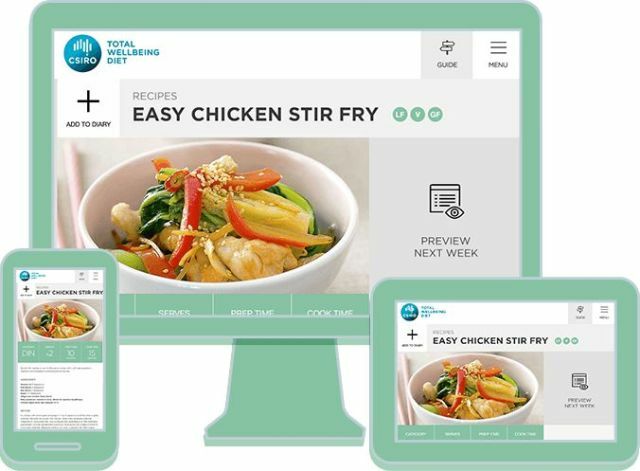 20 October 2014 - CSIRO are inviting you to participate in an online trial of the CSIRO Total Wellbeing Diet - a nutritious and convenient weight loss program, supported by scientific evidence. Up to 5 000 people are being sought to participate in a three-month trial, which will enable researchers to better understand the needs of modern digital dieters. The trial will be open for registration on 20 October 2014 and close 3 November 2014. Participants will be asked to provide information on their diet choices and weight loss via an online program diary. Places are limited, so Australians looking to get in shape for summer are encouraged to register today. Participants that weigh in each week during the 12-week program will pay nothing; with the introductory price of A$99 being fully refunded. Sign up now to the new CSIRO Total Wellbeing Diet online program. The CSIRO Total Wellbeing Diet online will allow you to better personalise the program to suit your tastes and lifestyle. The eating plan is easier to follow, you can customise the meal plans to suit your tastes and dietary preferences, swap any meal for one you prefer and our handy shopping list will update instantly. Food journals are essential for successful weight management, but most journals only count calories. Our new Total Wellbeing Diet diary instantly tallies your food groups and shows you where you're going right and wrong with your eating plan. From January 2015, you'll be able to search the complete Total Wellbeing Diet recipe collection online. Look up, save and track over 1000 recipes from our best-loved books. What you eat is just part of the story, and our online system includes practical, realistic exercise programs to help maximise the weight loss and wellness benefits of the Total Wellbeing Diet. Perfect for beginners, you can choose from a gym program or walking and running programs that can be done from home. The essential features of your Total Wellbeing Diet program are available on your mobile phone. You can check your meal plan, track your latest snack or look up a workout while on the go. The Total Wellbeing Diet has been enhanced with the help of the GI Foundation. Now, our high protein meal plans are packed with low GI options to stop you from feeling hungry. Our online system will point out low GI options to help you make smarter choices. People all over New South Wales are being asked to be on the lookout for some of our most obvious birds. Everyone is encouraged to become birdwatchers, at least for a day, on Sunday 26 October as part of the annual white ibis, and now sulphur-crested cockatoo, census. Dr John Martin said the survey coordinated by the National Parks and Wildlife Service (NPWS) aims to better understand where these birds are breeding and what areas they are using across the landscape. “This year we are also asking for reports of sulphur-crested cockatoos”, John said. “White ibis and the sulphur-crested cockatoos have become more common in urban areas and have adapted to eat different food and live within close proximity to humans”, he said. “Both species have changed their distribution and behaviour over the last 40-years. “Getting an overview of the ibis and cockatoo populations is only possible with the help of the community. “Ibis are native to Australia but they have increased in numbers along the coast in response to drought and changes to the inland wetlands,” Dr Martin said. Since the ibis surveys began in 2003, more than 2000 ibis have been colour-banded and wing-tagged to get an idea of where they go when they leave the Sydney area. So far, colour-branded chicks have been found as far a field as Townsville – 2500km away, while in the Sydney region we have radio-tracked ibis moving up to 35km to forage on a daily basis. A similar wing-tagging and GPS-tracking study of the cockatoos has been running for three years in the Sydney region. This study has recorded movements from the Royal Botanic Garden to Engadine, Bexley, Gordon, Narrabeen and suburbs in between. October 21, 2014 - University of Adelaide researchers are devising new methods to more accurately estimate long-term flood risk across Australia. The researchers are examining the possible causes of floods and how they interact with each other. This information is being used to create sophisticated models which will be used by engineers to better calculate flood risks for different locations. "In the past, engineers have tended to make decisions as though every flood has just a single cause, for example unusually heavy rainfall or an extreme ocean water level," says Dr Seth Westra, Senior Lecturer in the School of Civil, Environmental and Mining Engineering. "Multiple causes and how they interact have rarely been considered but, ironically, many big floods that have occurred in Australia have been extremely complex, with many different things happening at the same time." For instance, Dr Westra says, the devastating Queensland floods of 2011 superficially appeared to be caused by intense rainfall, but the flood wouldn't have had been so large if the catchments hadn't already been waterlogged from a very wet spring. "Accurate assessment of the risk of floods in any particular area is important for town planning and council zoning and in designing flood protection infrastructure like bridges and levees," says Dr Westra. "But properly understanding the risk of flooding means we have to assess the likelihood of these different events coinciding - acting together in a synergistic way to cause an extreme flood. For example do you tend to get big storm surges at the same time as heavy rainfall? "Even when something has never happened in the past, it's possible that the elements could align in a different way in the future to cause a flood event. Think of Hurricane Sandy in the US, which was brought about by the combination of an extremely unusual set of conditions to wreak havoc in New York. We need to be able to assess what sorts of floods can possibly occur in the future, even if we haven't observed or recorded similar events. "In Australia, this estimation is complicated further by the fact that we don't have great long-term records of flood risk. We're a relatively new country and in a lot of catchments there may only be 30 years of good data -- so we have to make educated guesses as to what might be possible in the future." Climate change is adding another dimension to the difficulty of flood risk estimation. "Under climate change, each risk factor will probably change in the future -- but it will be a complex picture, much more nuanced than is often reported," says Dr Westra. "Certainly some places will see increased floods, but other locations could even see a reduction in flood risk." 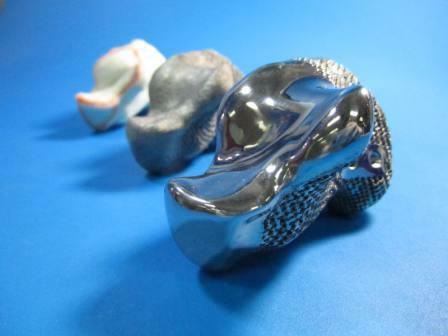 The above story is based on materials provided by University of Adelaide. The Bureau of Meteorology today released a new online groundwater data tool, providing a comprehensive picture of Australia's groundwater resources. "The Australian Groundwater Explorer presents a uniform approach to groundwater information to support a range of sustainable water resource management decisions at both local and national levels," said Senator Simon Birmingham, Parliamentary Secretary for the Environment. "The Australian Groundwater Explorer brings together comprehensive groundwater information from state and territory water agencies, making it publicly available in a nationally consistent format on the Bureau's website," Senator Birmingham said. "As groundwater systems often span jurisdictional boundaries, policy and planning managers will value the national consistency afforded by the Australian Groundwater Explorer. "National Water Week is a great time to increase community awareness around water issues and how best to use our valuable water resources. The Federal Government is working to improve our national understanding of all water resources, including groundwater, through the Bureau's Water Information Program. "Groundwater has traditionally been considered our water resource safety net, but in this highly variable climate, with increasing demands from population growth and the pressures of development, we are relying more and more on our groundwater resources. These increased pressures are part of the reason why we recently reinstated the $15.9 million Great Artesian Basin Sustainability Initiative funding, which Labor had left without funding. "The Australian Groundwater Explorer is a valuable tool which will enhance public understanding of Australia's groundwater resources and lead to improvements in their management." Senator Birmingham said with the Australian Groundwater Explorer users can access a wide range of groundwater data, including around 800,000 bore locations and bore logs. "Users can pan and zoom using the interactive map, tailor and search information for their area, view bore logs and aquifers in 3D, or download tables and graphs." The Australian and New South Wales Governments today announced a $350 million package of new irrigation efficiency projects across New South Wales. “The Australian Government is contributing an extra $125 million of funding to the revised package, bringing total Australian Government funding for New South Wales to nearly $1.5 billion,” said Senator Simon Birmingham, Parliamentary Secretary for the Environment. “The new funding contributed by the Australian Government is helping to deliver on our promise to deliver the Basin Plan in full and on time, while supporting a viable irrigation industry and sustainable food production for strong regional communities across the Murray-Darling Basin. “The package delivers on the commitments we made in our Water Recovery Strategy and by investing in projects that deliver improved water use efficiency, we can address Basin Plan water recovery targets while minimising the impact on regional communities. “The new package will include expanding the successful NSW Irrigated Farm Modernisation Project, introducing a new round of funding under the Private Irrigation Infrastructure Operators Program and boosting funding under the Commonwealth On-farm Irrigation Efficiency Program for NSW. “The types of irrigation infrastructure upgrades that these programmes provide will improve on-farm water efficiency and productivity, whilst providing a share of the water savings to the Commonwealth for ongoing environmental use. “And it is not just irrigators who see the benefits of such investments. At the local level, benefits flow on to other local businesses and services during construction and beyond,” he said. NSW Minister for Natural Resources, Lands and Water Kevin Humphries said the funding package will result in more efficient and effective use of vital water resources in irrigation communities across the Basin. “I have listened to the concerns of industry and the community and have been working with the Commonwealth to develop a better package of projects to ensure the best outcome for irrigators, regional communities and the environment,” he said. “Through initiatives such as the NSW Irrigated Farm Modernisation Project, the NSW Government is leading the way in improving the long term sustainability of regional communities by allowing irrigators to maintain or improve productivity, adapt to reduced water availability and provide water back to the environment through upgrading irrigation infrastructure. “In recovering water for the environment, our key priority is to ensure the Murray-Darling Basin remains Australia’s food bowl. I look forward to continuing to work with the NSW Government to achieve positive outcomes for communities in the Murray-Darling Basin,” said Senator Birmingham. 20 October 2014 - The Australian Government has released the Agricultural Competitiveness Green Paper today and is asking everyone in agriculture to have their say on a range of new proposals and policy suggestions. 24 October 2014 - The Federal Government has appointed Professor Lyn Gilbert to advise hospital based clinicians and infectious disease experts on how best to prevent and control the spread of the deadly Ebola virus if it reaches Australian shores. An infectious diseases expert at the University of Sydney, Professor Gilbert's appointment was announced this week at a meeting of Australia's chief medical officers. "We need to ensure that healthcare workers are skilled and well-practiced to manage people infected with this disease - for their safety, and the safety of the entire community." "There is currently no vaccine and cure for the disease caused by Ebola virus, which causes severe fever and muscle pain, vomiting, diarrhoea, and in some cases, organ failure and severe bleeding," says Professor Gilbert. "Currently, the only way to stop it is to break the chains of infection." A tiny fraction of these cases - 18 people - have been treated for Ebola infection in Europe and the United States. For Australia, the Ebola threat comes from two sources - inbound travelers from the Ebola-affected countries of Guinea, Liberia and Sierra Leone - and Australian healthcare workers on the frontlines of the epidemic in West Africa. Sydney's Westmead Hospital will be the sole treatment facility for treating any cases that reach New South Wales. Australia's Chief Medical Officer Professor Chris Baggoley said a number of Ebola defense strategies were being considered. Professor Baggoley has told the ABC that after the arrivals were screened, it was important they knew the right places to go for help if they started displaying Ebola symptoms. Professor Lyn Gilbert is an infectious diseases physician and clinical microbiologist, with expertise in infections of public health importance, including vaccine preventable diseases and healthcare-associated infections. Despite originally wanting to study engineering, Dr Linfa Wang became a biologist. His investigations are shedding light on how bats respond differently to viral infections to other mammals. Somehow bats infected with lethal viruses like Hendra experience no harmful effects. Bats seem to be the origin of a number of viral diseases that are a biosecurity threat to humans. Dr Wang’s work is identifying ways to prevent this threat by providing early warning of potential outbreaks, and strategies to save lives. Media release: 2 October 2014 - The Australian Government is inviting communities across the country to get involved in the 20 Million Trees Programme with the first competitive grants round now open for applications. The 20 Million Trees Programme was a key Coalition election commitment and is a vital part of the Australian Government's National Landcare Programme. The Government is investing $50 million over the next four years to re-establish Australia's green corridors and urban forests through the 20 Million Trees Programme. It's an important part of the Government's total investment in natural resource management which amounts to over $2 billion over the next four years. 20 Million Trees projects can be undertaken in urban and regional Australia, on both public and private land, providing community and environmental benefit at the local level. Communities, groups and individuals are invited to apply for grants between $20,000 and $100,000 to help set up their own 20 Million Trees project. Funding can be used to re-establish native vegetation, and create greener spaces to improve the liveability of local communities while increasing and improving habitat to support our threatened species. A wide range of groups, organisations, and individuals in the community are encouraged to apply. This includes community groups, schools, landholders, landcare and conservation groups and local councils. Applications for projects are now open and will close on 30 October 2014. Project guidelines for the competitive grants round provide individuals and organisations with the information they need to apply for funding to start a tree planting project in their community. As well as the grants, the Australian Government will also be running a tender process for Service Providers to undertake large-scale tree plantings. More details on the National Service Provider process will be available over the coming months. More information about the 20 Million Trees programme is available at www.nrm.gov.au/20-million-trees. October 18, 2014 - Sea Shepherd unveils the new R/V Martin Sheen named for the award-winning actor, activist and Sea Shepherd supporter. Martin Sheen was on hand to help unveil and christen the vessel at a press conference in Marina del Rey, Calif. on Oct. 18, 2014 where the media and public got their first glimpse of the beautiful 80-foot ketch dedicated to research, documentation and investigation of the problems besieging our oceans, including plastic pollution. Media Release - 23 October 2014 - The final stage of the plan to repatriate 41.4 ha of former Defence land at Headland Park, Mosman to community uses is nearing completion, Senator Simon Birmingham, Parliamentary Secretary for the Environment, said today. Announcing the proposed rejuvenation of a disused former transport depot and army training and accommodation facility at Middle Head, Senator Birmingham said the majority of the area would be landscaped as open recreation space offering spectacular views of Sydney Harbour and Middle Harbour from the Spit to the Sydney CBD, lookouts and walking trails. "Over $3.5 million will be invested to create an extensive area of new public parkland at Middle Head for the benefit of the community," Senator Birmingham said. "The parkland will include spectacular lookouts, new walking tracks, landscaped public spaces and the installation of picnic and barbeque areas." Senator Birmingham also announced that the Sydney Harbour Federation Trust and the Federal Minister for the Environment have granted final approvals to an 89-bed aged care home and dementia day-care service that will serve elderly members of the community including former Defence service people and their families. By remodelling the cluster of redundant former defence buildings known as 10 Terminal, the new aged care facility was determined to provide the best adaptive reuse solution for the site and address a shortage of aged care facilities on Sydney's lower north shore. "Today's announcement is the culmination of over a decade of dedicated work by the Harbour Trust to transform disused former Defence land into an award-winning example of public open space, heritage preservation and creative adaptive reuse that meets the community's needs," Senator Birmingham said. "Since work began in earnest at Headland Park 14 years ago, over 40 hectares of the site has been opened up for public use. Most of this was land that the community had been previously unable to access. "An extraordinary range of public facilities have been created at Headland Park. The public now enjoys spectacular harbour look-outs, outdoor walking trails and interpretation of historical military features. There are also a range of cafes and restaurants, sporting facilities, a men's shed, an artists' precinct, gym, child care centre, dance school, and a marine research institute and a wide variety of commercial tenants. "A large number of buildings at Middle Head have been renovated and leased out to 118 commercial and community tenants, while also expanding parkland access." "This is a remarkable achievement of conservation of a historic place for everyone to enjoy. Now another part of the community - the elderly and their families - is being invited into Headland Park to enjoy its vantage point in the world's most beautiful harbour. "The new aged-care facility at Middle Head follows the same model that the Harbour Trust has successfully adopted elsewhere at Headland Park: the buildings are leased for uses that fit well in a parkland setting and the area around the buildings is upgraded for public access and enjoyment. This is a successful reuse of the buildings to serve an important public good. It will meet the area's growing need for aged care, set within public parkland open to all. "The Department of the Environment's assessment found that any potential heritage impacts could be avoided or satisfactorily mitigated. The development will preserve significant parts of the existing building fabric as part of its adaptive re-use," Senator Birmingham said. "At its most recent meeting, the Board of the Harbour Trust approved the proposed development, subject to conditions," said the Harbour Trust's Executive Director Geoff Bailey. "Our planning assessment found that the proposal was consistent with the Harbour Trust's Act and Plans and the conditions we've placed on the approval minimise heritage impacts and maximise public amenity. "Priority for 11 per cent of the places at the aged care facility will be given to former service personnel and their spouses. The local community will also benefit from a daily minibus service that will pick up and drop off elderly local residents using the dementia day-care centre." The Harbour Trust will now commence public consultation around the creation of a new area of expanded public parkland at Middle Head. "The public feedback during the exhibition period indicated a strong desire to remove the two-storey timber barracks buildings on the northern side of Middle Head Road," Mr Bailey said. "We've listened to the community and decided to do this so we can transform the area to become part of a continuous stretch of public parkland from HMAS Penguin to the tip of Middle Head. The new parkland will create spectacular look-outs across Middle Harbour and introduce a new network of walking tracks. "Our model at Headland Park has struck a successful balance in preserving the site's natural beauty and military heritage. We have created a thriving urban parkland that is home to a diverse range of uses and is highly valued by local residents and visitors alike. We look forward to welcoming Middle Head Health Care into our community of tenants," Mr Bailey said. OPINION: Summer is coming and, with it, dry conditions for many parts of Australia. While it may be difficult to imagine for city dwellers, parts of regional Australia will likely face severe water shortages over the coming months. Stuart Khan is an Associate Professor in Environmental Engineering at UNSW. October 22, 2014 - A university of Colorado Cancer Center study recently published in the journal Prostate offers compelling evidence that inflammation may be the link between Vitamin D and prostate cancer. Specifically, the study shows that the gene GDF-15, known to be upregulated by Vitamin D, is notably absent in samples of human prostate cancer driven by inflammation. "When you take Vitamin D and put it on prostate cancer cells, it inhibits their growth. But it hasn't been proven as an anti-cancer agent. We wanted to understand what genes Vitamin D is turning on or off in prostate cancer to offer new targets," says James R. Lambert, PhD, investigator at the CU Cancer Center and associate research professor in the CU School of Medicine Department of Pathology. "We thought there might be high levels of GDF-15 in normal tissue and low levels in prostate cancer, but we found that in a large cohort of human prostate tissue samples, expression of GDF-15 did not track with either normal or cancerous prostate tissue," Lambert says. "Inflammation is thought to drive many cancers including prostate, gastric and colon. Therefore, GDF-15 may be a good thing in keeping prostate tissue healthy - it suppresses inflammation, which is a bad actor potentially driving prostate cancer," Lambert says. "There's been a lot of work on inhibiting NFkB," says Lambert. "Now from this starting point of Vitamin D in prostate cancer, we've come a long way toward understanding how we might use GDF-15 to target NFkB, which may have implications in cancer types far beyond prostate." 21 October 2014 - Two of the world’s leading anti-ageing researchers will use the 2014 UNSW Medicine Dean's Lecture to present new technology and breakthroughs that will enable us to live longer, healthier lives. UNSW Australia’s Professor David Sinclair, who is based at Harvard University, will discuss new genetic technology developed in the last six months that is reversing the ageing process in animals. Using this new technology, Professor Sinclair and his team have prematurely aged a mouse from six months to two years, and reversed the ageing process to recreate youth, by turning on and off specific genes that control ageing. Professor Sinclair will discuss this and other new technologies that will enable the personal monitoring of health, women's fertility, the alteration of the human genome in offspring, the creation of drugs that slow ageing, and development of new computers that can assemble a human genome in world record time. Professor Stephen Simpson, Academic Director of the Charles Perkins Centre at the University of Sydney, will discuss the complex links between nutrition and healthy ageing. Despite the prevailing dogma that reduction in calorie intake over a lifetime will delay ageing and age-related diseases, recent experiments on flies, mice and humans have shown that the balance of macronutrients is more important in determining lifespan than the number of calories eaten. Professor Simpson will present the results of these experiments and show how a new understanding of diet balance allows different health outcomes to be optimised throughout life. The Dean’s Lecture will be hosted by ABC Radio National’s Robyn Williams. October 22, 2014 - Children with autism spectrum disorder (ASD) were more likely to have been exposed to higher levels of certain air toxics during their mothers' pregnancies and the first two years of life compared to children without the condition, according to the preliminary findings of a University of Pittsburgh Graduate School of Public Health investigation of children in southwestern Pennsylvania. "This study brings us a step closer toward understanding why autism affects so many families in the Pittsburgh region and nationwide -- and reinforces in sobering detail that air quality matters," said Grant Oliphant, president of The Heinz Endowments. "Our aspirations for truly becoming the most livable city cannot be realized if our children's health is threatened by dangerous levels of air toxics. Addressing this issue must remain one of our region's top priorities." The above story is based on materials provided by University of Pittsburgh Schools of the Health Sciences. 20 October 2014 - A research project by the University of Sydney's contemporary art school in Rozelle sees several curators and artists form a unique collaboration in a lab-style approach to creating and curating art.Curating Feminism, the title of the experimental exhibition opening at Sydney College of the Arts on 23 October, is also the focus of a three-day program including a conference that will explore how feminist insights and methods inform the curating of contemporary art. Curating Feminism addresses ideas around the ethics of collaboration between the artist and curator. It adopts a curatorial model of one curator, one artist/artist collective as a way of decentralising the curatorial process. One of the curators and academics behind the practice-led research project is SCA's Associate Dean Research Dr Jacqueline Millner. "Curatorial practices that challenge the power relations between artist and curator, including through the figure of the artist-curator, have a long history in feminist art. In Curating Feminism, this approach has been taken up to encourage a more intimate process, to create a more socially, culturally and politically speculative artwork. "Since the new millennium we have seen social practice emerge as a major form of contemporary art. Consequently, the role of the curator has changed - from the guardian of objects and creator of stories, to the cultivator of relationships between artist, work, museum and gallery, viewer and the broader community. "Today, to curate is to create knowledge - not to merely represent, publish or exhibit - and to create knowledge is to exercise power, which is where feminism comes into play," said Dr Millner. In SCA's Curating Feminism exhibition, seven curators work alongside an artist or art collective of their choice. "The exhibition included an installation period of several weeks to give curators and artists the rare chance of working together in the SCA galleries, to build a creative space for greater discussion, interaction and activism," said Dr Millner. Curators and artists from across the country and abroad, including a group of cross-generational Indigenous women, will feature in the exhibition. They are: Kelly Doley and emerging performance artists Hissy Fit (Sydney); Elvis Richardson and Virginia Fraser (Melbourne); Laura Castagnini (London) and Alice Lang (Los Angeles); Brigid Noone (Adelaide) and two-person art collective SODA_JERK (New York); Jacqueline Millner and Philipa Veitch (Sydney); Jo Holder (Sydney) and the Euraba Papermakers (NSW) and Warmun Art Centre's Shirley Purdie, Alana Hunt and others (WA). Two pre-eminent international curators who have pioneered curating as activism will visit Sydney to deliver the keynote speeches at the conference. Speaking at SCA on 23 October is Michael Birchall, a Berlin-based curator, writer and co-publisher of On Curating. Birchall will talk about recent exhibitions and art practices that have responded to protests and demonstrations in North America and Europe, as a resistance to neo-liberalism. Dr Maura Reilly, founding director of the Elizabeth Sackler Centre for Feminist Art at New York's Brooklyn Museum, will speak at the Art Gallery of NSW on 24 October. She will talk about curatorial activism - a term she coined to describe exhibition-making practices that give voice to those who have been historically silenced, and hence focus on the work of women, black, non-European and queer artists. Curating Feminism is the first exhibition of the research group 'Contemporary Art and Feminism', set up in October 2013 by University of Sydney's Dr Catriona Moore and Dr Jacqueline Millner and The Cross Arts Projects' Jo Holder. The research responds to a massive groundswell in engagement and curiosity about feminism's role in contemporary art and its relevance to art-making and analysis today. 19 October 2014 - The University of Sydney has won more than $65 million in new National Health and Medical Research Council (NHMRC) grants announced today by the Federal Government. Professor Jill Trewhella, Deputy Vice Chancellor (Research) welcomed the result: “Today’s NHMRC funding result reaffirms the university’s leadership in health and medical research. “Our researchers won more than 12 per cent of the national share in funding, and the breadth and depth of our research is evident in the results, as is the strength of our large collaborative programs in obesity, diabetes and cardiovascular disease, cancer, brain and mind research, and infectious diseases. “The results also demonstrate the value of our thriving research partnerships with medical research institutes, hospitals and health care providers broadly, and centres of research excellence. The University of Sydney received 83 health and medical-related grants, representing 15 per cent of funding awarded to universities nationally. $2.48 million to Professor Anthony Keech (NHMRC Clinical Trials Centre) to improve eye care for people with diabetic retinopathy. $2.29 million to Professor Anushka Patel (The George Institute for Global Health) to improve better coordination between pharmacists and GPs aimed at improving preventive medication in high-risk patients. Fourteen University of Sydney researchers shared in $4.51 million for Early Career Fellowship funding and four researchers shared in $1.64 million for Career Development Fellowship funding. 21 October 2014 - University of Sydney alumnus and former Australian Prime Minister Gough Whitlam has passed away this morning at the age of 98. 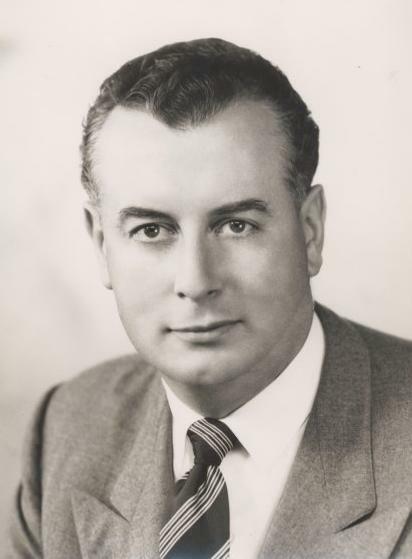 Whitlam had a remarkable career in Australian public life, which stemmed from his early studies in both arts and law at the University of Sydney. Whitlam graduated with a BA in 1938, went on to study an LLB at Sydney Law School in 1946 and subsequently was admitted to the NSW bar in 1947. He returned to the University of Sydney to receive a Doctor of Letters (Honoris Causa) in 1981, and served as a Fellow of Senate from 1981 to 1983 and again from 1986 to 1989. "Gough Whitlam demonstrated the kind of leadership that the University of Sydney aims to instill in all of its graduates. He was creative, provocative, clever, well read, thoughtful and focused on making the lives of all Australians better," Dr Michael Spence, Vice-Chancellor and Principal of the University said today. "As one of the first to realise the potential for an Asian Century, he created the backdrop for public policy in Australia for many years to come. As Prime Minister he could not have imagined that the University would one day host the China Studies Centre, a multi-disciplinary global centre for research and engagement on all aspects of greater China. "His contribution to Australia's relationship with our Aboriginal and Torres Strait Islander peoples was profound.When he poured local sand into Vincent Lingiari's hands as a symbolic gesture returning the Wave Hill station to the Gurindji people in 1975, he laid the groundwork for all of Australia's major institutions to acknowledge and celebrate Aboriginal and Torres Strait Islander rights and cultures. These principles remain fundamental to both the University of Sydney and Australia as a nation. "Gough Whitlam is one of seven University of Sydney alumni who have gone on to lead the nation as prime minister. It is no overstatement to say he transformed our nation, including our universities.He strongly believed that university should be an achievable aspiration for all bright Australians, a belief shared by the University of Sydney community and many Australians today," said Dr Spence. Among many significant achievements in the areas of foreign policy and Indigenous affairs, Whitlam is credited as having changed the face of higher education. "He took public policy very seriously and did a huge amount to empower universities and the work of universities," said former WA Premier and Professor Geoff Gallop. "He dragged Australian politics and the Labor party into the modern era by sheer force of will. He saw that Australia needed to move up a step." "Gough Whitlam will always be remembered as one of the giants of Australian history," said Associate Professor James Curran from the Department of History. "The manner of his political demise in November 1975 should not obscure the range and depth of his achievements in office. Whitlam was in every sense a colossus in Australian political life." 24 October 2014 - Professor Rebecca Ivers has been hailed as Australia's top female innovator, in The Australian Financial Review and Westpac 100 Women of Influence Awards. Professor Ivers is an injury prevention expert at University of Sydney and The George Institute for Global Health. She is published widely in peer reviewed literature as a leading expert in unintentional injury in Australia and internationally. She has diverse expertise including road safety, driver licensing, prevention of falls, and injury prevention and treatment of injury in Aboriginal and Torres Strait Islander people, including burn injury. Professor Ivers is a passionate researcher and public health advocate who joined The George Institute in 2000. The awards recognise 100 of the most influential women across ten categories including Innovation, Philanthropy, Diversity, Public Policy and Social Enterprise. They were presented by NSW Premier Mike Baird and WA Senate Minister assisting the Prime Minister for Women Michaelia Cash. Professor Ivers said: "To be acknowledged amongst a group of high achieving, impact driven and well regarded women is truly a humbling experience. "I am absolutely privileged to work with a remarkable group of people, and for an organisation that values all of its staff for what they can achieve, in the area of both injury prevention and wider public health issues. "Unintentional injury is the leading cause of death and disability in young people globally, however over the past ten years we have seen a diminishing investment in programs and policy positions. I hope that through this award, a light can be shined on all the work being done in this area, and encourage Governments to reconsider the investment they make in preventing future injuries," said Professor Ivers. Among innovations for which Professor Ivers is responsible is Driving Change, a community-based Aboriginal driver licensing support program, across 12 sites in NSW. This end-to-end program delivers a range of services, from assistance with identification documents, to debt management and learner driver mentor services. "As licensing is a critical access point for education, employment and health care, this intervention has the potential to impact on employment and incarceration rates amongst Aboriginal and Torres Strait Islander youth, as well as lead to significant changes in licensing programs across Australia." Coming at end of a big week for Professor Ivers, during which the Government announced Professor Ivers had won a grant of more than $1 million for one of her research projects, and she was responsible for her team being admitted as a member of the UN Road Safety Collaboration, she said public recognition of achievements was important as a way of sharing stories and encouraging other women to have a go. "Everyone has a different experience of moving through the hierarchy. It's a battle for all women, and for people to understand that it's not easy for anyone is important." "It is critically important that we examine the number of women in leadership roles in Australia and globally. "Women are more likely to be working in roles were they are undervalued and underutilised, less likely to trumpet their success, or to put forward opinions. This needs to change, and we need to be more confident in speaking out." 22 October 2014 - World-first research by the University of Sydney reveals that junk food brands are engaging with young Facebook users to promote unhealthy foods which can contribute to obesity and lifestyle diseases. Published in the American Journal of Public Health, the new study sheds light on the digital marketing strategies of energy dense, nutrient-poor food (EDNP) brands to teens and young adults who are using Facebook. "Our findings show that unhealthy food and beverage marketing is prolific and seamlessly integrated within online social networks," says lead author Dr Becky Freeman, from the University of Sydney's School of Public Health. "Adolescents and young adults are engaging with brands like Dominos, Slurpee and Skittles on Facebook on a near-daily basis. "Given the exponential growth in use of social media websites such as Facebook among young people, there is a need to understand the techniques and reach of this kind of marketing on these sites. "Soft drinks and energy drink brand pages are hugely popular on Facebook, reflecting the high consumption of these products among adolescents and young adults. "Drinking sugar sweetened beverages is a known contributor to rising obesity, and has been the focus of controversial tax policy reform." The study used a sample of top-ranked Facebook pages of food manufacturers, food brands, retailers and restaurants. The resulting analysis reviewed 27 food and beverage brand Facebook pages on the basis of their marketing techniques, follower engagement and marketing reach of messages posted by the pages. "Young Facebook users willingly spread marketing messages on behalf of food and beverage corporations with seemingly little incentive or reward required," Dr Freeman says. "Any activity that users engage with on brand pages can appear in the news feed of their friends, so marketing messages quickly amplify across social networks. This kind of consumer involvement and engagement is unique to social media communication." Results further showed that competitions, giveaways and aligning with positive events such as Australia Day were found to be effective means of engagement between users and the food companies. "The Facebook pages in our study were not simply low-budget fan pages, all were professionally moderated and appeared to be administered by either the company brand owner or an advertising agency," Dr Freeman says. "In terms of health policy, much of the current work to limit exposure to EDNP advertising is focused on restricting advertisements during children's television programs and viewing hours. Our study shows that this narrow focus is likely to miss large amount of online advertising aimed at adolescents. "As a minimal first step, increased monitoring of how EDNP food and beverages are marketed on social media is essential. "Our study focused on Australian Facebook users, however our findings have international relevance given that many of the pages in our study were for global brands," Dr Freeman says. - This is the first study to systematically assess the nature of food and drink promotions on the globally popular social media site Facebook. 22 October 2014 - UNSW scientists hope to unlock the secrets of millions of marine microbes from waters as far apart as Sydney’s Botany Bay and the Amazon River in Brazil, with the help of an international team of volunteers sharing their spare computer capacity to create a research “supercomputer”. The project, co-led by UNSW’s Associate Professor Torsten Thomas, has the aim of making 20 quadrillion – or twenty thousand million million – comparisons of genes from a wide variety of tiny life-forms that are invisible to the naked eye. “Microorganisms rule the planet. Without bacteria and other microbes, life on Earth would very rapidly cease,” says Associate Professor Thomas, of the UNSW School of Biotechnology and Biomolecular Sciences and Centre for Marine Bio-Innovation. The Uncovering Genome Mysteries project is hosted on IBM’s World Community Grid. In the past decade more than 670,000 people have volunteered their spare computer capacity to the grid, creating a virtual supercomputer that carries out scientific research around the clock. “Anyone with a computer, smartphone or tablet can join and help to give us the computational power to carry out our microbe research,” says Associate Professor Thomas, who heads the project with Dr Wim Degrave of the Oswaldo Cruz Foundation in Brazil. With enough volunteers the project could be completed within months. By comparison, it would take 40,000 years for a single PC to make 20 quadrillion computations. Microbes are vital to sustaining life on Earth, producing half of the oxygen we breathe, soaking up carbon dioxide and recycling nutrients. They control many processes involved in human health, food production and industry and are used to develop drugs and clean up pollution. Microbes are too similar in appearance and too numerous for scientists to study them individually. So they use an approach called metagenomics, in which the genetic sequences of all the organisms in an environmental sample are determined, and then compared with all known genes. “A teaspoon of water can contain millions of microbes and each organism may have thousands of genes. By studying this natural treasure chest we will learn more about the role microbes play in shaping the health of our planet and the functions of millions of microbial genes,” says Associate Professor Thomas. 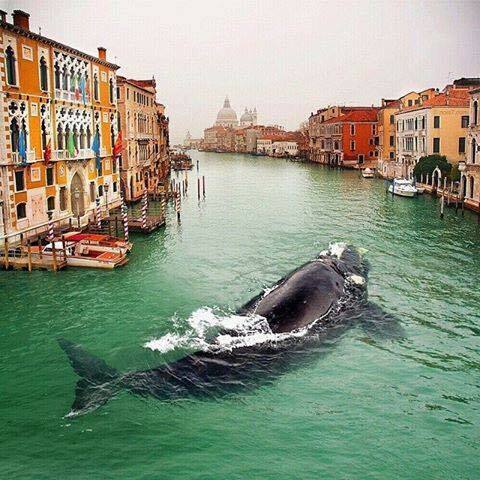 The Whale of Venice - Photoshopped! 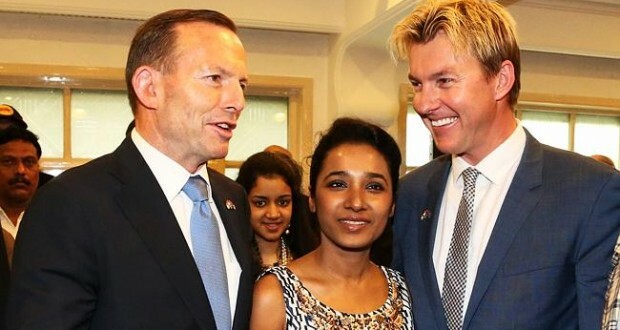 21 October 2014 - Shooting has begun at UNSW of the Australia India Film Fund’s first feature, produced and directed by UNSW alumnus Anupam Sharma and starring Australian cricketer Brett Lee as a UNSW English teacher. Unindian is a romantic comedy featuring internationally acclaimed actress Tannishtha Chatterjee (Siddarth, Brick Lane) who plays a divorced single mother who falls in love with Lee. Sharma, who graduated from UNSW with a Masters in Film and Theatre, said he was “humbled to be working with a dream cast and crew who are the best from India and Australia”. A filmmaker and Australia’s leading international expert on Indian cinema, Sharma was named as one of the 50 most influential film professionals in the Australian film industry and now heads Sydney film and casting company Temple. The award-winning production company has pioneered Australia India film links with more than 200 projects related to films in the last decade. This isn’t the first time UNSW has been a location for an Indian production. Sharma also directed Bollywood film From Sydney… With Love, which was partially filmed at UNSW in 2011. “The University is excited to support and feature in Unindian produced and directed by one of our talented alumni, Anupam Sharma,” said UNSW’s Vice-President of Advancement Jennie Lang. The Australia India Film Fund, the first of its kind in the world, was established in Sydney in 2013 to invest in Australian films with Indian themes for a global audience. Unindian is supported by Destination NSW and UNSW. Find out more on Unindian's Facebook page. This ten-minute film is the only documentary made about Phar Lap during his lifetime. It was produced by Neville Macken with some involvement from pioneer female filmmaker Paulette McDonagh. It features superb close ups of Phar Lap with handler Tommy Woodcock, rare footage of him doing track work, and interviews with his most frequent rider Jim Pike and with trainer and co-owner Harry Telford. Phar Lap is shown winning several races including the 1930 Melbourne Cup and the 1931 Randwick Plate – the only known footage of this race and the last time he would run at a Sydney race meet. The film finishes with Phar Lap being loaded on to the Ulimaroa at Sydney docks in November 1931, ultimately bound for the USA.